Animals (he had a poodle, which he fed steak), flying (he used his twin-engine planes to fly over Disneyland), and Republicans. He also loved tomato juice so much that he served it to everyone who came to his office, and got angry if they didn't accept it. Wrinkles (he had "˜em airbrushed off his promotional pics), criticism (he once threw an Oscar at his brother's head when he doubted him), and unions (he thought they were part of a Communist plot against him). Disney tried to take up golf when his doctor recommended he learn to relax, but he became consumed with perfecting his game. He'd get up at 4:30 a.m. to play a round before work every day, which ended up adding to his stress. Walt had a tiny apartment built for himself in Disneyland above the Main Street fire station so he could be close to his creation "¦ even in his sleep. He walked around Disneyland with a little blue notepad (no one else in the company was allowed to use one like it) and left detailed notes about potential improvements. According to legend, the young Disney married his secretary, Lillian Bounds, because he couldn't afford to pay her $15-a-week salary. Disney had little interest in music. During the production of "Fantasia," he purchased season tickets to a local symphony, but invariably fell asleep during performances. 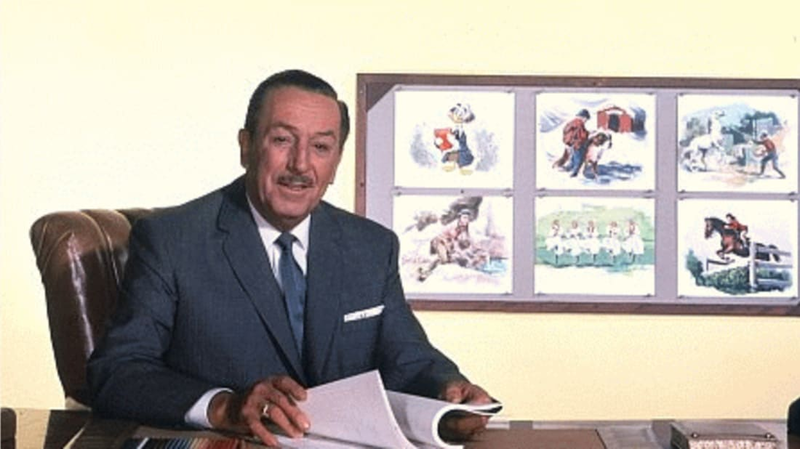 As a boy, Disney won talent competitions for his impressions of Charlie Chaplin, and he often encouraged animators to act out scenes before putting them to paper. At one meeting in preparation for "Snow White," he acted out the entire movie, playing all the parts himself. This performance served as the guide for all creative questions on the film. Despite his knack for caricature, Disney had a poor sense of humor and was supposedly pretty unfunny.